Did you know that the Prague Ratter or Pražský Krysařík is the world’s smallest dog breed in terms of maximum height of a dog? Yes, other small-sized dog breeds are measured by weight such as Chihuahua or a Bichon Frise, but the Pražský Krysařík is measured by its height. The Prague Ratter looks like a Chipin (Chihuahua and Pinscher mix) and is very adorable. Let’s find more about the Prague Ratter below, but first, watch this video featuring some wonderful tricks by a Prague Ratter. Prague Ratter is a Toy dog breed which is not much popular outside the Czech Republic and found rarely outside the country. Officially, it is the world’s smallest dog breed in terms of height. 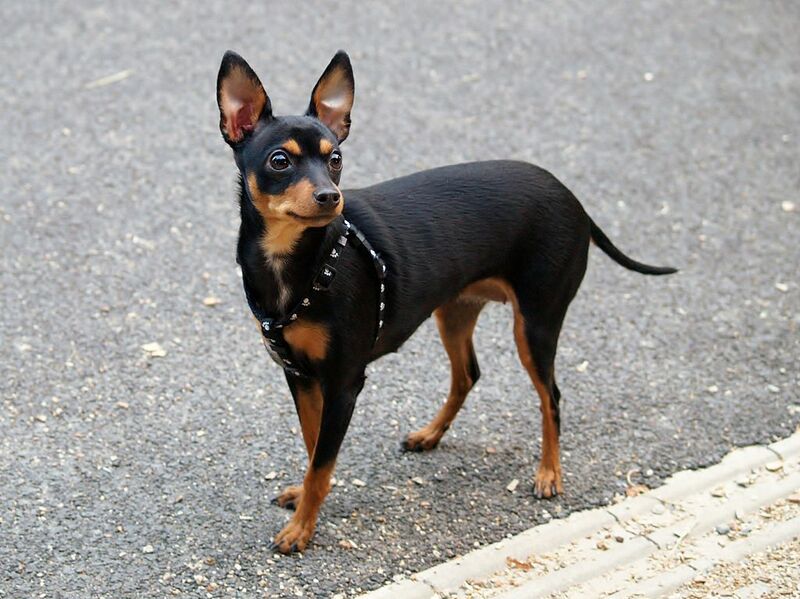 Although it is not a popular dog breed, its resemblance with a Min Pin Chihuahua dog has been noticed and appreciated. Originally, the Prague Ratters were bred to hunt rats but with the passage of time, they have been domesticated and makes the best indoor dogs. They are quick, active, and strong dogs. As they are excellent at hunting rats, their sense of smell is amazingly sharp. If you need an all-purpose small-sized dog that becomes the best lap dog for you, get a Prague Ratter. Prague Ratters were originated somewhere in Bohemia (Now the Czech Republic) but the exact place is still unknown. Because of their ability to catch and kill rats, they were brought to the palace of the Polish king Boleslaw II the Generous (1058-1081). Not only in the Polish palace but the Prague ratters were also popular in central European royal palaces. Unfortunately, with the increasing popularity of Miniature Pinscher, the Prague Ratters went out of fashion in the 19th century. But thanks to the Slovaks and Czechs, they started to breed them again in the 1980s. As per an estimate, there are just 6000 Prague Ratters registered with the concerned authorities, and most of them are found in Slovakia and the Czech Republic. They are small in size. Their average height is 20 cm to 30 cm while their weight is no more than 3.5 KG. Their coat is smooth with short and glossy hair. They have a pear-shaped head having erect ears. They have an athletic lean body. The Prague Ratters or Pražský Krysaříks come in several colors including black and tan, blue and tan, brown and tan, lilac and tan, merle and red, yellow, merle, and pink. They chase small animals such as rats, cats, or a squirrel in a lightning-speed and catch them instantly. It’s highly recommended to avoid getting a Prague Ratter if you already have another small in your home. With their unbelievable energy, they are always ready to surprise you. They are highly responsive, obedient, loving, and loyal but sometimes they feel shy and uncomfortable around strangers. If you have planned to get a Prague Ratter, make sure to get it from a reputable breeder who socializes puppies at an early age to avoid any behavior issue in the future. They are highly active and love training sessions. Like all the other dog breeds, they also like to get rewards and treats during their training sessions. You should not under-estimate their small size as they are highly intelligent and keen to learn new tricks. Early-age training is the best otherwise they may give you a tough time while training in adulthood. Avoid scolding them if they make any mistake during the training as they are a bit sensitive. For their safety, you should at least teach them the basic commands; stop, come, sit, heel, and lie down. It is recommended to feed them with high-quality dog food for small breeds which you can find in many pet stores or Amazon. A good and balanced diet help them maintain their good health, energy, and fur. Although dry food is preferred for them, you can feed them with wet food occasionally. Daily 1 to 2 cups of dry food twice is fair enough for them. Try not to over-feed them because a balanced diet directly impacts their teeth and bones. Before getting a dog, it is really important to check for their pros and cons to avoid any future issue. Let’s have a look over the pros and cons of the Prague Ratters. Fewer health issues – They are a healthy breed and have fewer health-related issues as compared to other breeds. Easy to groom – The Prague Ratters or Pražský Krysařík need very little grooming because they are average shedders and their smooth and glossy coat can be maintained easily. Easy to train – They are highly obedient and intelligent; therefore, it is really very easy to train them. Best Family Dog – They make the best companion for any family, especially the kids. Not safe with other pets – If you have small-sized pets, the Prague Ratters may be a risk to them because of their hunting nature. Prone to Injuries – They may sustain bone injuries because of their small-sized bodies. Interestingly, they are among the healthiest dog breeds and have fewer health-related issues. Let’s have a look. A retained milk tooth is the one that is supposed to be erupted by the age of six weeks but doesn’t erupt and occupies the place of the permanent tooth. It can cause an abnormal eruption of the permanent tooth. Due to this problem, the puppy’s bite pattern becomes abnormal. Small-sized dog breeds are prone to this disease and can get it instantly. Some of the common symptoms of Retained Milk Teeth are swollen and red gums, bad breath, and improper teeth positions. If found any of the mentioned problems in your Pražský Krysařík, see your vet ASAP. The vet usually examines the puppy’s mouth and suggest some x-rays to diagnose the problem. Dislocation of kneecap from its actual position is known as Patellar Luxation. It is usually caused due to some genetic malformation. Also known as Kneecap Dislocation, it is one of the common abnormalities of the knee joint in small-sized dog breeds such as Pekingese, Chihuahua, Maltese, Toy Poodle, Jack Russel Terrier, and Yorkshire Terrier. The common symptoms of this painful disease are the abnormal movement of hindlimb and sudden lameness. It is recommended to take your puppy to vet if these symptoms are witnessed. The vet may take a fluid test from the affected joint and some x-rays to diagnose the problem. The Prague Ratter is an all-rounder dog that won’t leave your lap. He is obedient, responsive, friendly, and amazingly fast. With fewer cons and health-related issues, we can easily choose them as one of the best small-sized dogs. 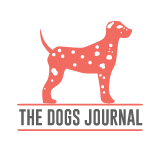 A dog's expert and a blogger who loves to study dogs' behavior closely and provide with the best solutions to dog owners.